These are awesome! But you need a great horned owl. Never mind, I guess that is a great horned owl. They look great!!! Adorable! I love the snowy one. Now I need to find time to make one. Just popped over here from How About Orange. Thanks for the document! Really cute! Thanks so much for the pattern! Any Tiger patterns you have to share? Thanks for such a cute pattern! I made a cute little owl ornament! Thank you so much for the pattern. I put pictures on my blog and put links to the sources of the pattern. I am making ornaments as gifts. adorable! Think I'll be getting my felt out this week! 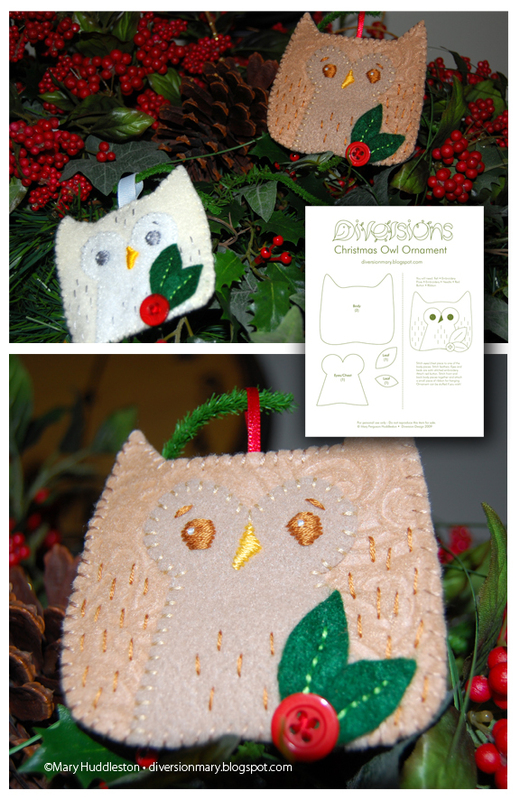 Thank you so much for this Owl Ornament pattern, I know just who I will give it to, she is really into Owl stuff.